Peruvians are both strong-willed people, and also hospitable. Families are very important and tend to be the focus of social life. Women traditionally stay in the home. 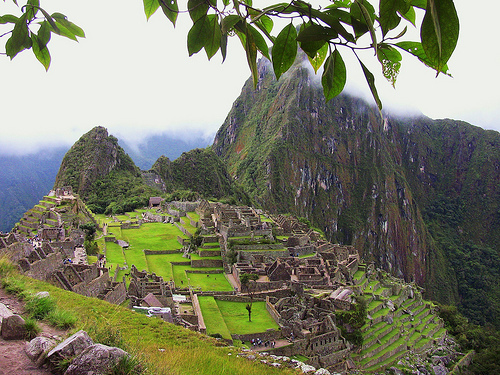 Peru is a very young country, as over half of the population is under 15. 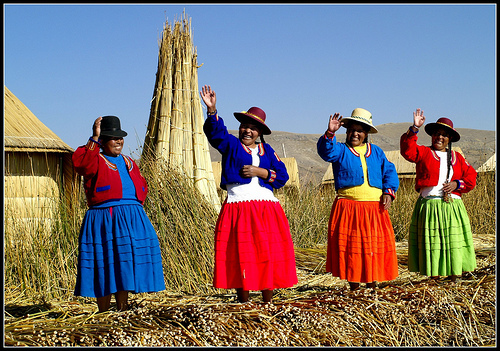 Its official languages are Spanish, Quechua and Aymara, but there are over 40 local ethnic languages. You can get around speaking Spanish, as people will generally speak both Spanish and one native language. You will find more English speakers in the educated classes. Most city-dwelling Peruvians are Christian. The indigenous people have mixed beliefs of Christianity and native religions. Peruvian culture has a strong mix of Spanish colonial residual factors and a recognition and pride with local cultures. In terms of greetings, people will shake hands for the first time. When people get to know each other better, men often pat each other on the back, and women kiss each other on one cheek. If you do not know someone really well or are first meeting them, you should address them by “Senor” or “Senora” and their last name. Only close friends and family use first names. Professionals are addressed by their titles and last names. When communicating, Peruvians are often found using many hand gestures and becoming very lively and animated when they get really into something. People will stand close to each other and maintain strong eye contact. In urban places, Peruvians often wear dressed-up western-style clothing out in public. It is considered sloppy to wear dirty or old clothing outside the house. There is a strong difference between the rural and urban lifestyles in Peru. In the countryside, people heavily depend on what season it is, and their lives are full of manual labor. You’ll find many herders in areas of high elevation where they cannot farm. All types of festivals, like religious holidays and weddings, are communal celebrations that are shared with entire villages. In the cities, lifestyles depend on social classes. People of lower classes often have to work two or three jobs, and live in the outskirts around the cities. The richer classes have more leisurely lifestyles, where they have a main meal after noon, then a siesta. After the siesta, people either return to work, or if they don’t work, then they hang out with friends, watch soap operas or play sports. Peruvian meetings often will not start on time. They are more into relationships as opposed to strict time schedules. Sorry, but this is about 50% correct and 50% bs. …. Nice try.